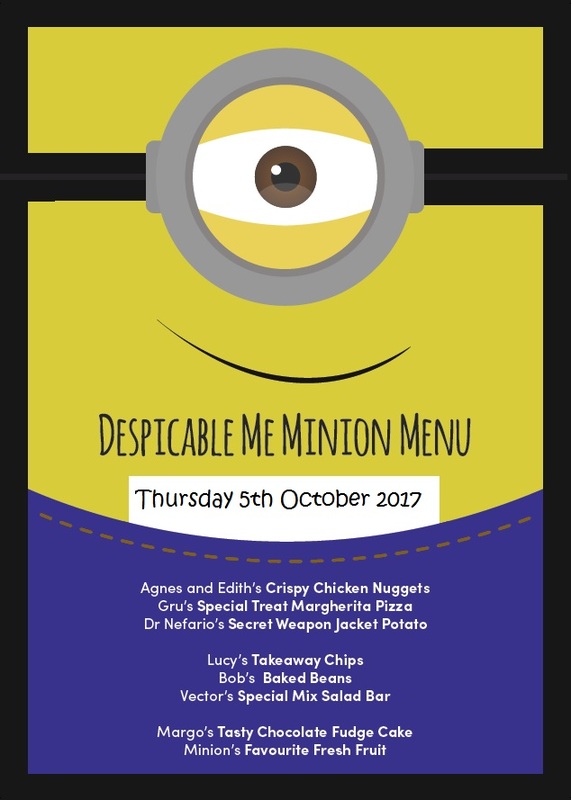 Our school meal caterers, Dolce Ltd, will be providing a special Despicable Me Minion Themed Menu on Thursday 5th October 2017! The menu will include Chicken Nuggets, Pizza, Jacket Potato’s, Chips, Beans, Salad and of course desserts including Chocolate Fudge Cake!! These special menu lunch days always prove popular with the children. If your child has not yet tried our delicious school meals, this special day gives them a chance to try them out. School Meals are charged at £2.20 per day. Children from Reception to Year 2 continue to receive the Universal Infant Free School Meals. If you think you are entitled to Free School Meals please ask the school office for an application form.